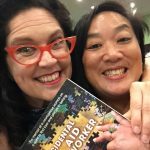 This is a moving and real account of one woman’s drive to survive and support others while masking battles of her own. Along the way, Sue loses her grip on life and embarks on a harrowing journey through mid-life crisis, disconnection, and chronic depression. She is forced to face inescapable truths about herself in order to navigate her way to the woman she really wants to be. Sue shares her most vulnerable moments with warmth and bare honesty, alongside epic travel adventures and quirky tales involving; priests, nuns, a rabbi, terrorist attacks, natural disasters, a tuktuk accident, refugees, orphaned children, surgeries, fishing for marlin and at times, spontaneous singing and dancing with children. 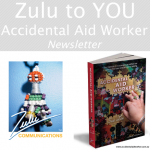 Accidental Aid Worker was launched on 1 November 2015. It is a self-publishing project by Sue Liu and Zulu Communications. This amazing woman has lived four lifetimes of an ordinary woman and, in doing so, has made a huge difference to many hundreds, perhaps thousands, of lives. All I can say after reading Sue’s story is, ‘What a woman!’. She shows us how one person can make a difference in this world, and I am in awe that she has been able to accomplish so much. An inspiring book. Sue’s message is that out of every story of pain and suffering, there is light. 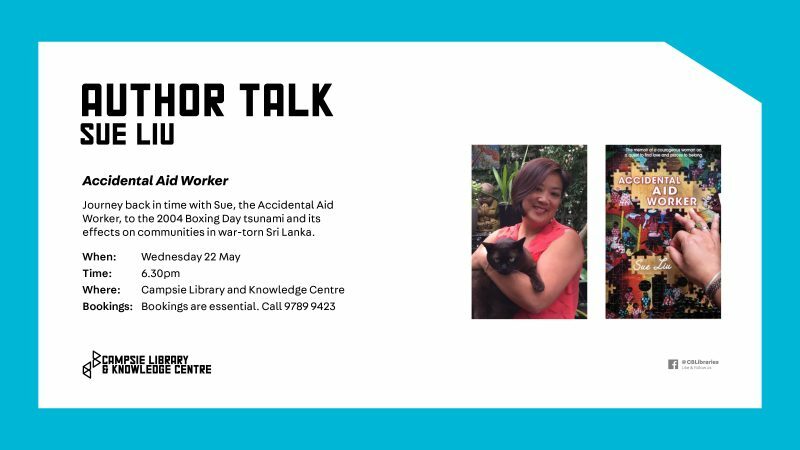 Library members and guests were drawn into the events of the traumatic 2004 Boxing Day Tsunami at Sue Liu’s compelling talk. The impact of the tsunami was the turning point that made her think of her moral responsibility as a human being to help others. 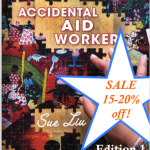 In her book, Accidental Aid Worker,(reviewed in the February Newsletter), she tells the story of how one person can make a difference. Although it became overwhelming, her spirit and positive attitude shine through. 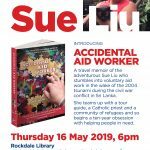 Sue Liu gave an interesting and inspiring talk about her journey to Sri Lanka and her transition from carefree traveller to aid worker, the wonderful people she met along the way, and their lasting effect on her life. The audience loved listening to Sue’s story and we hope she continues to tell it whenever possible. 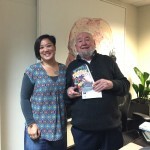 Robin Sharpe, Shoalhaven Libraries Nowra. 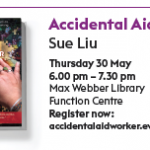 Sue Liu spoke at Mosman Library in October, 2016, about her book, “Accidental Aid Worker”. She was a most personable and relaxed speaker, who engaged her audience immediately with her warm, friendly manner. I think Sue would be an excellent speaker for any group, whether it be school children, a community group, or a writers’ festival. As an attendee at the recent talk by Sue Liu at the Tura Marrang Library, I am pleased to provide this testimonial. Sue’s talk was exceptionally interesting, sharing with the audience her initial background in marketing, snippets of her travels to over fifty countries, and her desire to assist her friends in Sri Lanka after the Boxing Day tsunami, which acted as a catalyst for Sue to write a book titled ‘Accidental Aid Worker’. 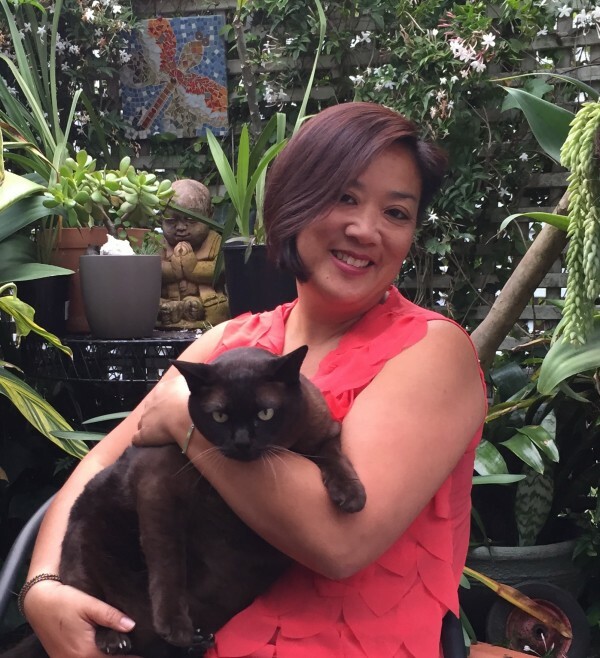 She discussed the therapeutic value of this new direction in her life and captivated all in the audience with anecdotes of her subsequent adventures. I would highly recommend anyone interested in aid work, travel or in fact self-publishing to attend one of her talks. 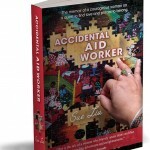 I attended Sue’s launch of the 3rd reprint edition of Accidental Aid Worker, before a large audience at Sydney Mechanic School of Arts in September 2016. She was extremely courageous as demonstrated in both her book and at her talk, allowing her peers, colleagues, friends and a number of prominent members of society an inside view of her life and experiences. 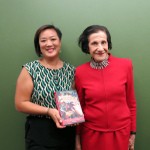 Her story captured the mind and heart of many people, one of these was Professor Dame Marie Bashir. Professor Bashir supported Sue’s efforts as demonstrated in her speech at the launch. 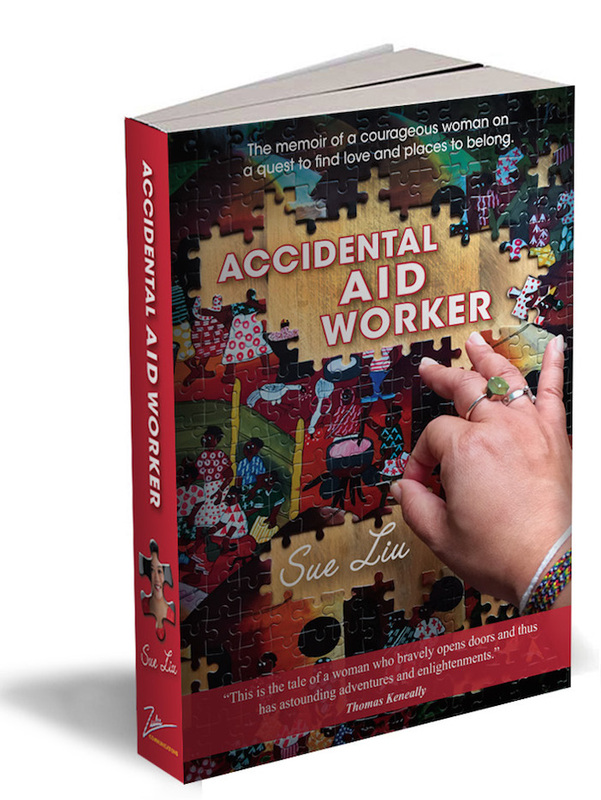 She spoke of her admiration of Sue’s courage and bravery or not only by detailing her personal journey on paper, but for the work and commitment she put into her “Aid Work”. She also was extremely impressed with Sue’s work and contribution internationally as solo Australian female. 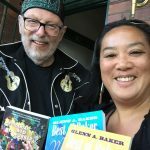 What can I say about Sue Liu – what a dynamo! She is an inspiration to everyone she meets. Sue came into Ulladulla Library on Friday 14th October 2016 like a breath of fresh air. Her talk was thoroughly captivating and inspiring. Everyone that attended the session left with a new commitment to helping others. 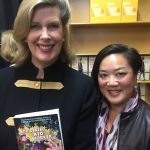 I highly recommend Sue as both an author and motivator. If you have the opportunity, add Sue to your speaker list. Vikki Hoskins, Shoalhaven Libraries Ulladulla. It was a pleasure to have Sue speak at Temora Library. The audience of 20+ people were spellbound, and their level of interest in Sue’s talk was evidenced by the number of questions, and continued discussion after the session had formally ended. 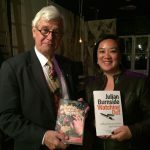 Sue Liu generously brought her life experiences to the people of the Bega Valley Shire and shared them with audiences in Bermagui and Merimbula. Sharing personal experiences, especially those around personal or community crises can be difficult but Sue shares with humour and love knowing that her experiences help others with the twists and turns of their own lives. Sue’s talk adds an extra dimension to her book and is professionally delivered with some amazing photographs of her journeys. Highly recommended! 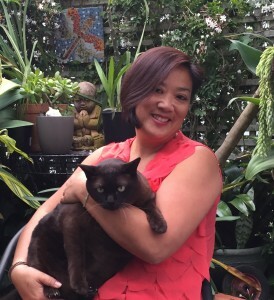 Topic: A uthor profile, book brand, marketing and self-publishing essentials. 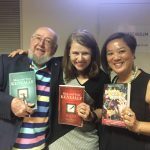 All writers who aspire to publish work need to be business aware and marketing savvy. 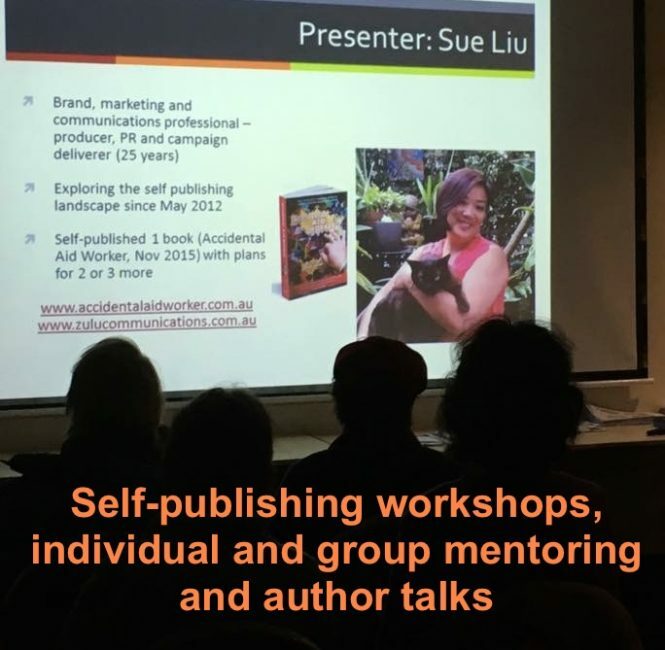 Self-published author and marketing professional Sue Liu delivers insights into the realities and expectations of authors when considering traditional and self-publishing. Loved it. Sue presented with such enthusiasm and verve. A nice mix of what needs to be done with the personal journey. Well prepared and executed with enthusiasm. Easy to follow step-by-step guidelines on how to. Practical work handouts and very useful. A very constructive and helpful talk – Thank you Sue. Loved it. Sue shared a lot of valuable and practical information about writing and publishing a novel, It was very informative and delivered with humour and enthusiasm. Definitely recommend it. Really enjoyed learning about your journey. It was inspirational. Fantastic workshop, really informative, great energy and great to hear the nuts and bolts of marketing from a professional who has worked in the industry – so it’s not vague but real, hard-hitting in a positive way and direct. Really refreshing. This session provided very useful information on the marketing of books. I had no idea of the complexity and detail involved in launching a book not having researched the business aspect before. Inspiring, real steps to self-publishing. Grassroots information, honest and realistic. Very enjoyable workshop. Sue’s enthusiastic and realistic approach to the writing journey from start to bookshelf is infectious. I enjoyed this session. Sue is so enthusiastically engaging! She is realistic and does not have “stars in her eyes”. We heard the good, but also the downside. Sue is a good presenter, She’s so honest about her own journey.